It’s a funny moment as you hear a simple statement that suddenly shifts your perspective forever. It’s at these times I find my brain spends the next few days and weeks moving through a range of statements, something between, “Of course!“, “Wait, what does that mean?“, “Ahhhhhhh…yes! No…I don’t get it” and “Ohhhhh, I got this!”. I would have been floored, if it wasn’t for my new back straightening chair/friend. If we are serious about building teams, classrooms, early learning centres, staff rooms or whole school communities with cultures of learning (where there are feelings, impressions, beliefs and actions that show we value learning) we need to start to challenge how we think and speak about learning and work. I’m not saying everything is always just about learning. Yes, at times we have to complete work for others for the world to go around. Completing Year 12, doing the weekly grocery shop or finalising those three tasks to be fully prepared for Friday’s meeting. But, how many opportunities are ripe for learning, yet are seen as just “work” by students, children, parents and colleagues around us? How many students go into a maths session and see the session as work to be completed for their teacher, instead of continuing to build on their learning? I’ll never forget my Year 12 maths methods teacher simply telling me I only had to know some content as it was on the exam – not because it connected to other aspects and parts of calculus. Instead of this topic within calculus being a stepping stone to better understand maths, it became something to do for an anonymous examiner. (Exams are by no means perfect, but let’s save that for another post). If we as educational leaders of our schools, teams, faculties, rooms and communities simply start by being more aware of when and how we use the words work and learn, we can start to shape a culture towards learning. How does it actually make an impact? If you are anything like me, you might wonder, “How does simply changing a few words make an impact?”. That’s a fair question. From the very beginning you signal that are all open to try and attempt things. Consequently, this also means it is okay to not know how to do things, need things explained again (and again), make mistakes and ask for clarification – teachers and school leaders included. When we start by opening with this small shift it also lets others know the following lesson, information night or meeting, isn’t about people completing or doing something for you. Instead, it becomes about them having the opportunity to deepen their understanding for something that has purpose to them, whatever the focus is – creating better study habits at home, using data walls, algebraic differentiation, whatever. And it all starts with a simple shift of two words. Yep. All because of changing a couple of words. What experiences have you had that have shifted how you see things? How does this view of work and learning sit with you? Many thanks to Ron Ritchhart and the team at Project Zero within Harvard’s Graduate School of Education for the changes, challenges and impact you continue to have on education here, there and everywhere! 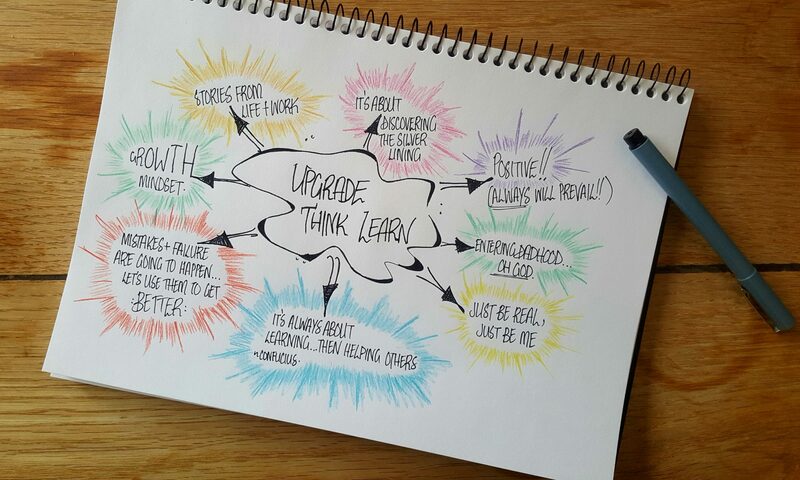 Listen to the Upgrade Think Learn podcast on Apple Podcasts and Spotify, or join the community to get more incredible tips from amazing teachers! Previous PostPrevious Could Teachers Be the 9th Wonder of the World?